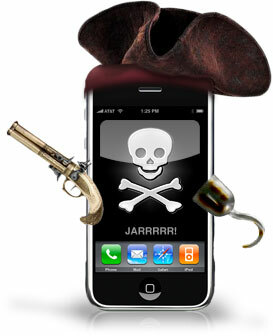 Earlier today Apple released iPhone firmware 3.1.3 and as usual, jailbreakers beware. At the same time, the iPhone Dev Team issued warnings to avoid the update if you want to have the ability to jailbreak and/or unlock your iPhone/iPod Touch. A few hours later, the iPhone Dev Team announced some fantastic news. The iPhone 2G, 3G, and iPod Touch 1G can be jailbroken on firmware 3.1.3 using redsn0w 0.9! Update 2:Â [Donâ€™t go near this if you have 3GS, newer ipt2G, or any ipt3G] Can confirm that this method works for iPhone 3G and iPod touch 1G too. Â Donâ€™t do it for iPhone 3G if you need an unlock though (really, donâ€™t!). For older iPod touch 2G, weâ€™ll need a small (1-character) change in redsn0w source. Update 3:Â [Donâ€™t go near this if you have 3GS, newer ipt2G, or any ipt3G] For those with older (non-MC) iPod touch 2G, weâ€™ve compiled a special version of redsn0w meant just for you: Mac and Windows. Â You guys can get in on the â€œ3.1.2 loopholeâ€ too using this special version. Â Donâ€™t try this if you have a newer iPod Touch 2G or if youâ€™re not completely sure what version you have. Â And of course donâ€™t try it for 3GS or ipt3G either. That about does it for the 3.1.2 redsn0w loophole. Â It can only be used by: those who donâ€™t need the 3G/3GS unlock, and only owners of iPhone 2G, iPhone 3G (not unlockers! ), iPod 1G, and iPod 2G older version. Â Everyone else please wait for official support in the tools. The iPhone 2G and iPod Touch 1G are safe on firmware 3.1.3 using redsn0w 0.9. The iPhone 3G is safe on firmware 3.1.3 using redsn0w 0.9 BUT only if you do not care about unlocking your iPhone 3G. The iPhone 3GS, iPod Touch 2G, and iPod Touch 3G are NOT safe on firmware 3.1.3. Stay with 3.1.2 if you want to be able to jailbreak and/or unlock your device in the future.